Although it's not the first biographical production about the life of Jenni Rivera, the cast of "Mariposa de Barrio" believe it's the most relatable. Angélica Celaya, who plays the older Jenni Rivera, said that she had never met Jenni Rivera, but the family helped her portray her as accurate as possible by providing personal footage for Celaya to study. Celaya also watched numerous interviews on YouTube. "Mariposa de Barrio" is supposed to tell a story of perseverance and determination, Gabriel Porras, who plays Jenni Rivera's father Don Pedro Rivera, said. That's what Porras thinks will surprise people because it is a human story that might happen to anyone. 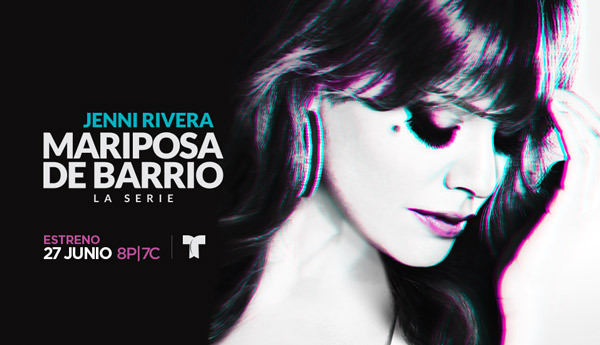 The Telemundo novela "Jenni Rivera: Mariposa de Barrio" spans the life of Jenni Rivera and tells parts of the singer's life which many of the fans might not have known. Samadhi Zendejas, who plays Jenni Rivera in her late teens to mid 20s, said that much of what she filmed was intense and had very sensitive topics, such as physical abuse and child molestation. The drama is there, in Jenni Rivera's personal life, Porras said. He said that Jenni Rivera was a real person who had flaws and problems that people didn't always get to see. With several other projects giving light to the life of Jenni Rivera, books and shows, the task of portraying the beloved singer and her family seems like a daunting task, since many fans believed they knew the Rivera family well. Porras said that as he got to interact with Pedro Rivera he knew it would be impossible to recreate Pedro Rivera, so he took the best parts from every incarnation and created his own version which would be as true to life as possible. "Jenni Rivera: Mariposa de Barrio"